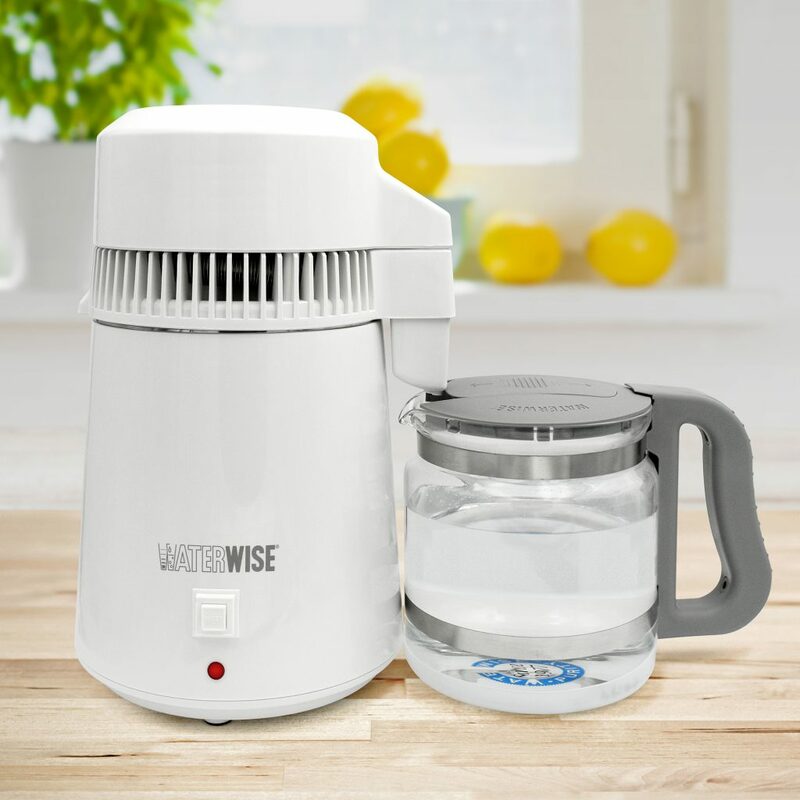 The Waterwise 4000 is so compact and versatile that it’s widely used—with excellent results—by people around the world. You, too, can have a supply of fresh homemade distilled water no matter where you are. Since it requires no installation or hookups, the 4000 is an everywhere solution. Simply fill the stainless steel boiler with tap water, press the start button, and soon you will enjoy the most deliciously pure and refreshing water you’ve ever had. Borosilicate glass collector/storage bottle. Studies indicate drinking 8 glasses of pure water a day bolsters heart health for both women and men. Consider this fact—your heart is 79% water. 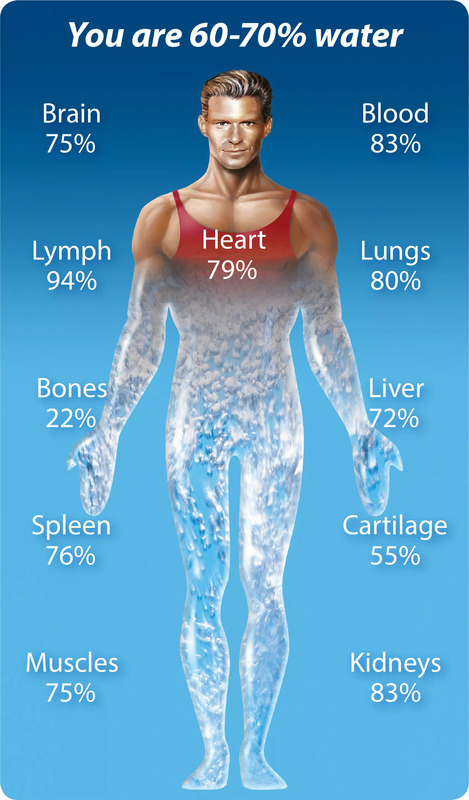 The typical person has a body composition of 70% water, and maintaining adequate levels of hydration is essential for the efficient regulation of all physiological functions. Though bottled water may be considered a convenient alternative to tap water, it is a pending environmental debacle. The amount of crude oil used to make a year's supply of empty water bottles would fuel 100,000 cars for a year. The Pacific Institute calculates this to be more than 17 million barrels of oil annually, which is equivalent to 2.5 million tons of carbon dioxide released into the atmosphere. Even more oil is used for fuel to haul bottled water to consumers all over the world. 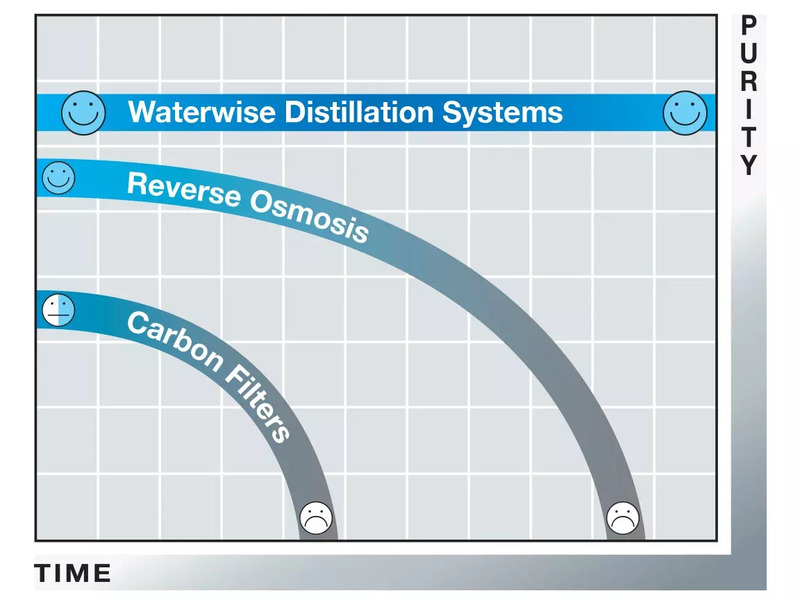 With Waterwise homemade, 100% steam distilled water you are guaranteed consistent purity and significant savings! *Disposal of plastic waste is another problem. According to the Container Recycling Institute, each day in the U.S. more than 60 million water bottles are thrown away. Only about 12% are recycled. Some 40 billion bottles a year end up in landfills where they take about 1,000 years to biodegrade. Others are incinerated, releasing toxic by-products into the air. The rest end up as litter on the roads and beaches or in streams and other waterways. There is an area of floating plastic trash in the Northern Pacific Ocean that's twice the size of the state of Texas. Described as the "biggest trash dump in the world," much of it consists of old plastic bottles. Experts say that dangerous chemicals from industrial waste stick to the plastics and enter the food chain as it is ingested by birds and marine life. "There is no technology to get rid of the plastic," says Marcus Eriksen of the nonprofit Algalita Marine Research Foundation. "The only solution: stop adding it to the ocean."